Former Parliament President Martin Schulz published his book, The Chained Giant, almost five years ago, in which he called for more transparency in Brussels and, as a crafty aside, advertised his intention to run as a ‘Spitzenkandidat’ in the 2014 European elections. Schulz’s bid to become president of the European Commission ended when he conceded defeat to Jean-Claude Juncker. It was also the first time that a European election decided who became head of the EU executive, although German Chancellor Angela Merkel only agreed to the procedure reluctantly. Those who are aware of that background were quick to notice that a commitment to the “Spitzenkandidat” procedure was missing from the three-page chapter on Europe in the consultation paper by the CDU, CSU and SPD published last Friday. A consideration of national politics has not stopped the two main European political groups from seeking to repeat the process. The socialist family of parties again wants to put forward a top candidate, while the “Spitzenkandidat” procedure is laid down in the statutes of the centre-right European People’s Party (EPP). But that does not change the fact that the heads of state and government could theoretically return to the old procedure and decide on who will succeed Juncker – who intends to serve only one term – among themselves after the European elections. In November, Europe’s conservatives will decide in Helsinki on who should succeed Juncker. The frontrunner is the Frenchman Michel Barnier, who as chief negotiator deals with Brexit. The 67-year-old Frenchman sought the nomination as the EPP candidate in 2014 but was defeated by Juncker in an internal party vote. If Barnier prevails this time he will be best placed to succeed Juncker. The EPP won the most seats in the last European elections, and that is likely to be repeated next year. However, at least in France, the party landscape since the election victory of President Emmanuel Macron is strongly in motion. Socialists and conservative parties have been decimated. Macron himself has already indicated that the Liberal Commissioner for Competition, Denmark’s Margrethe Vestager could succeed Juncker. The Party of European Socialists, meanwhile, is not expected to repeat its experience of having a German as its top candidate. 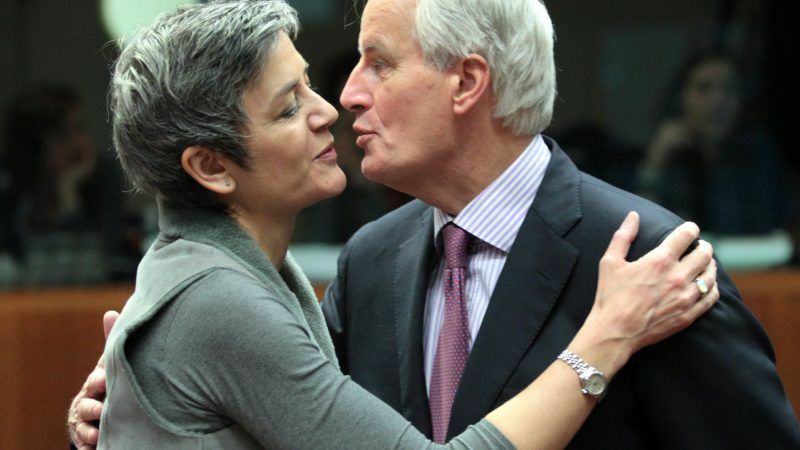 EU foreign policy chief Federica Mogherini, an Italian, is regarded as a strong contender, while Juncker’s vice-president, Dutchman Frans Timmermans, is also mentioned as a possible candidate. However, the socialists will need to reverse their recent run of election defeats to have a chance of naming Juncker’s successor.